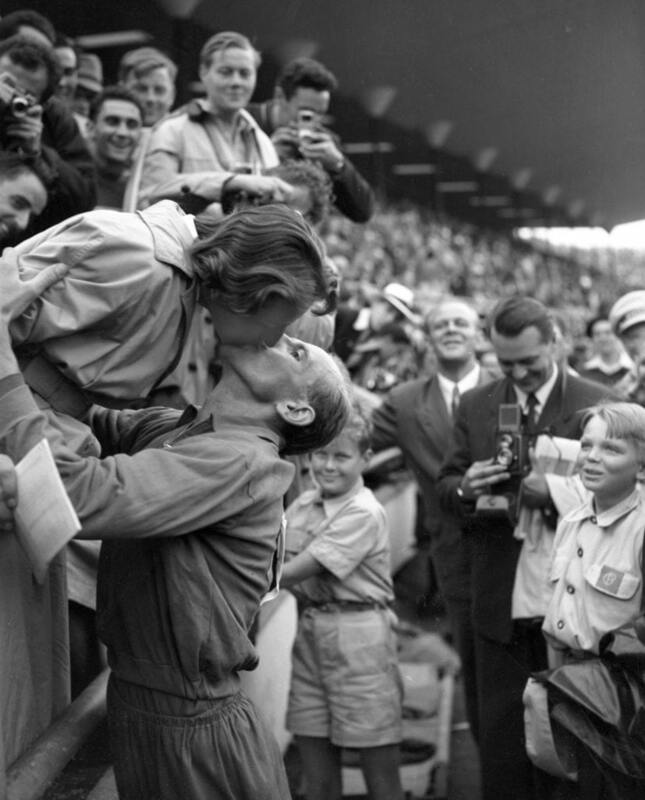 Emil Zátopek kissing his wife Dana after his Olympic victory in the marathon on 27 July 1952. Dana Zátopková had become Olympic champion herself in Helsinki by winning the women’s javelin throw. Emil won one Olympic gold medal in London 1948 and three in Helsinki 1952. Dana’s Olympic career lasted until Rome 1960 where she took silver in the javelin.